CY2018 Registration is now closed. cy [at] presbyterian [dot] ca or 403-630-7382. …unique expressions of faith in both large and small groups, unconventional keynotes and workshops, dynamic faith exploration and joyful celebration! Youth, young adults and leaders from across the country and with guests from around the world come to this amazing event. 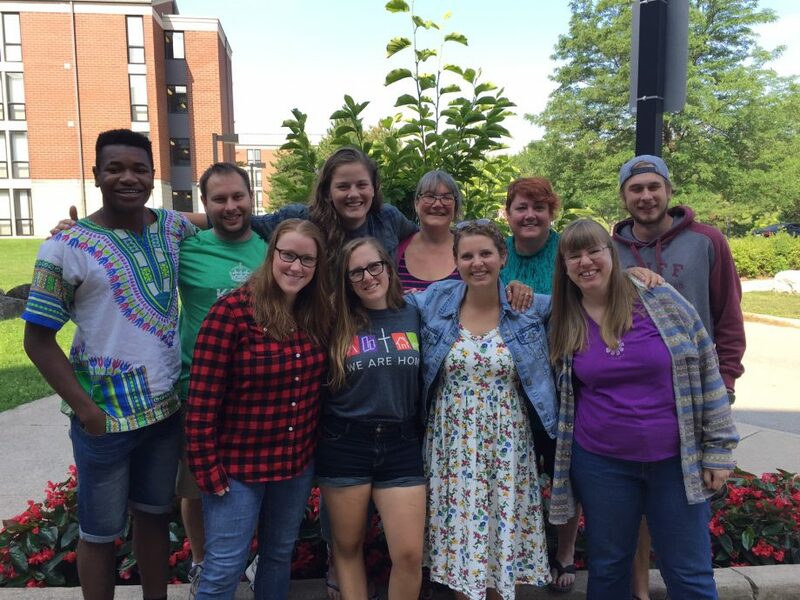 Since 2000, CY has been a gathering place for all kinds of enthusiastic Presbyterians to worship, play, create, learn, dance, act, make new friends, study scripture, share joy, laugh, discover, recreate, reflect, pray, sing and share. More than 4,000 folks have attended the event since it began and the impact has been felt in our camps, congregations, and courts. Plan to attend or encourage someone you know to attend! CY only comes around once every two years and is a time and a place to celebrate the vibrant ministry of The Presbyterian Church in Canada! Every second summer, hundreds of youth, young adults and youth leaders join together from across our denomination, and with guests from around the world to celebrate their vibrant faith. CY2018 will continue that exciting tradition! Topics will include: strategic planning and visioning, innovative worship design, resource management (all kinds of resources), engaging millennials, and the practice of hospitality. CY is exceptional and unique because it is not just an event for youth. The event is split into separate tracks, each track has a unique focus and objective and an independent schedule. The whole community, all tracks, come together daily together for amazing worship, and fabulous recreation. Youth in the Youth Track spend time together in smaller groups to explore their faith, and to build community. Great rec activities and a huge list of possible workshops round out each day. This track celebrates the unique place of youth in the Presbyterian Church in Canada! The Discipleship Track provides young adults (graduated high school to age 25) a place to come together to worship God, be fuelled by great conversation, engage in challenging small group discussions, and have fun with others who are in the same stage of life! Youth Leaders in the Youth Ministry Training Track are re-charged with outstanding plenary sessions with renowned Youth Ministry experts, interactive workshops, and the chance to swap ideas with colleagues from across the country. This track includes both theoretical and practical congregational approaches to new youth ministry practices. Leaders return home to their communities and live out what they have learned and experienced. And because CY gets excited about creating new leadership education opportunities – CY2018 will launch a brand-new track. The NEXT Track is specifically designed for congregational leaders. The CY2018 Planning Team is charged with creating and hosting CY. They met for the first time at Crieff Hills Community in March 2017 and began their work visioning and designing the event for next summer. In August 2017, they gathered again together at Brock University to continue the work. July 2018 is not that far away, the Team knows that there is much to attend to, and lots of great plans to create. We’ll keep you posted on our progress and plans. CY2018 is currently recruiting all the fabulous speakers, preachers and leaders for the event. Check back here to find out who will be joining the team! CY2018 will begin to accept registrations March 2018. The registration fee of $565.00 will be collected when you register for the event. What will be provided – Linens, towels, meal cards, etc. CY provides all the necessities for a week at a residential event. You are provided sheets for your bed and towels in your washroom though they are hospital-issue and are not particularly luxurious. You may want to pack a favourite pillow and an extra towel. You’ll receive a meal card for all meals, and a key to lock your residence room; Brock Residence Services staff are available 24/7 should you have a concern. Most, but not all, residence rooms are singles with one bathroom between two rooms; others are doubles that share a common washroom with a few other rooms. The CY2018 registration fee includes ice cream at every meal. Sadly, Ice cream is not available at breakfast . . . only lunch and supper. The $565.00 registration fee covers all meals from Tuesday supper to Sunday lunch. Brock provides vegetarian options at each meal and can also accommodate other dietary needs as identified on your registration form. I’m the only youth from my congregation and am a little nervous. You might be the only one from your area but you are going to meet other young people and your A.B.L.E. Advisor as soon as you arrive at CY. You will be assigned to a small nightly covenant group for check in. You will part of a small group each day with other folks from across the country. You’ll worship with 500+ new friends, and have recreation events and workshops to be a part of each and every day. It’s a brave decision to come on your own, and lots of CY leaders will do their best to make you feel welcome, and to connect you with others. Worship is boring. Worship is a rock-concert. Worship at CY is a dynamic response to God’s love and goodness. Worship at CY is interactive and engages all the senses. Worship at CY is diverse and uses different kinds of music. Worship at CY is filled with moments of enthusiasm as well as moments of contemplation and reflection. All the elements of worship experienced at CY can be used in any home congregation. I want to be a CY champion – what should I be doing? Be an advocate for youth, youth adults to attend and leaders– this is especially important for congregations that do not have on ‘regularized’ youth ministry program. Being the “only one” from a congregation can be frightening or overwhelming – your ongoing encouragement and support will make a huge impact. 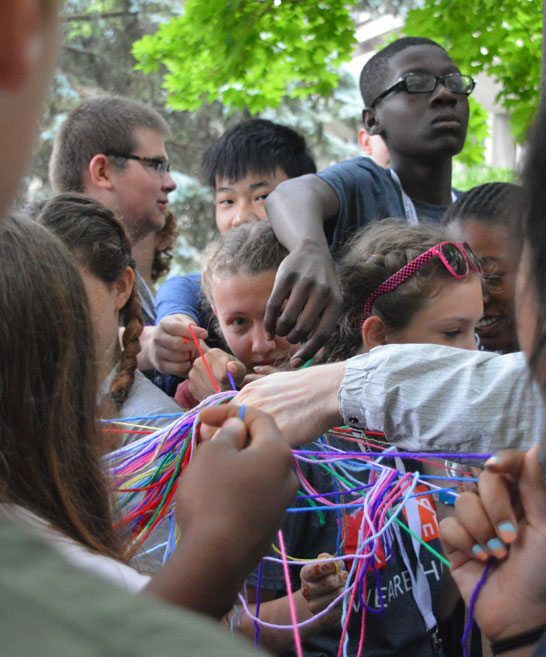 Become a CY champion –encourage those who have attended CY to share their story, encourage your congregation to add an annual budget line-item to support CY, speak to parents about the power and vibrancy of CY highlighting it excellent programming and attention to safety and supervision. for the CY2018 participants who will attend – that they might experience a faithful landmark in their journey of discipleship. I can invite my friends to visit me and come to CY worship. CY2018 is a Leading with Care compliant community. All guests are expected to fill out a CY registration form, so that we know who is on-site. CY leadership diligently works to ensure a climate of safety and security for everyone at the event. It is important that we provide the highest quality of ministry. We need to know who is on-site within the community. My friend can’t come because she’s not Presbyterian. Only my youth leader will be watching out for me at CY. The CY2018 Planning Team, along with presbyteries and synods, recruit a skilled Community Life Team which will be available throughout the event. This team is responsible for the safety and well-being of all participants and includes A.B.L.E. Advisors, (Adult, Bold Leaders with Energy who are recruited by congregations/presbyteries/synods) Conference Deans, Chaplains and Health staff. Each team member has fulfilled Leading with Care requirements and will be trained during the spring of 2018. CY shopping – where can I find a toothbrush? You will find most things that you’ll need during CY at either the Brock Bookstore or through the CY Admin Office. It’s okay for me to leave CY during the week to—visit a friend in St. Catharines . . . visit Niagara Falls—shop at the outlet malls in Buffalo—to catch an early flight home. CY is the full-meal-deal. It has a beginning, a middle and an end that are all important. Should you need to leave site during the event, please contact the CY Coordinator. I’ve finished making the arrangements for the youth, young adults, and youth leaders from my congregation to be on the bus/plain/train/van to CY2018 – my work here is done. Your work has just begun. Arrange for them to be commissioned by the congregation before they leave, pray from them while they are away, welcome them home enthusiastically, ask them about the event, listen to their stories, encourage them to respond to their CY experience by participating in worship or presenting to a group from the congregation. Expect to be welcomed and loved! Expect to be awakened, engaged and encouraged through God’s Word and by God’s people. Expect to be part of an amazing community, gathered together to respond to Christ’s call. The Canada Youth 2018 Planning Team, along with presbyteries and synods, recruit a skilled Community Life Team, which will be available throughout the event. These staff people are responsible for supervision, safety and well being of participants. The Community Life team includes: A.B.L.E. Advisors, Conference Deans, Conference Chaplains and Health staff. Each team member has fulfilled Leading with Care requirements and will be trained during the spring of 2018. Job descriptions for these positions are available upon request. The Brock campus offers great facility space for CY2018 and the community will stay on-site for the duration of the event. All CY2018 participants both youth and adults are required to sign the CY2018 participant covenant and are expected to live by the Guidelines for Community Life as outlined on the registration form. CY2018 participants will be housed in 2 separate Brock residences: Vallee and Earp. Most, but not all, residence rooms are singles with one bathroom between two rooms; others are doubles that share a common washroom with a few other rooms. Towels and linens are provided, though they are hospital-issue and are not particularly luxurious. Participants may want to pack a favourite pillow and an extra towel. Housing will be assigned by Track – youth participants and their assigned A.B.L.E. Advisors with be housed together within their regions, Discipleship Track and Youth Ministry Training Track participants will be housed together, separate from the Youth Track. Meals for the whole community will be provided at the Brock Cafeteria which is an ‘all you can eat’ format. The CY2018 registration fee covers all meals from Monday supper to Saturday lunch. Brock provides vegetarian options at each meal and can also accommodate other dietary needs as identified on your registration form. Many presbyteries and synods coordinate the travel of CY2018 participants as a delegation. Contact your minister, or synod regional staff, or the CY2018 coordinator for more information (see below). The CY2018 Registration fee does not include any travel costs. On-Site check-in for CY2018 is available between 2:00 – 4:30 pm on Monday, July 2nd at Brock University in St. Catharines, Ontario. The conference will end on Saturday, July 7th, immediately following worship at approx. 12:00 pm (noon) A boxed lunch will be provided. $ Flower Sale: Team up with a florist or floral distributor. Sell roses for Valentines Day or spring bouquets for Mothers’ Day. Provide a delivery service along with the promotion to create additional funds. $ Treasure Chest: Fill a chest with donated prizes and sell keys to open the chest. $ Celebrity Doodle Auction: Though this idea can take some time, it can yield amazing results. Send requests to celebrities asking for their one-of-a-kind doodles for auction. The more you approach, the better your chances of return. You may be surprised what you get in return! $ Mystery Dinner: Offer couples a great night out on the town complete with dinner and entertainment. Contract for a group rate at a local inn or restaurant with a large reserved dining room. Work with a local theater group for script and performers. $ Stanley Cup Playoff Party: Have a party, charge admission and have people bring lots of food. OR $ Hockey Night with Hogies: Offer pre-ordered sub sandwiches that will be delivered during the game. $ Video Game Tournament: Think you are the best gamer among your friends? Prove it! Charge entry fees and have a concession stand and settle in. $ Movie Night: Approach your local theater or movie store to ask about sponsorship initiatives. Many will either give you a discount or provide the event for free with the promise of publicity. If you can offer inexpensive admission, plus donated concession snacks, your Night at the Movies fundraising event will bring in gold! $ Luau for Love: A pig roast + tiny drink umbrellas x grass skirts = equation for a fun time. Charge admission and sell drinks. Hula contests optional! $ Penny Wars: Teams compete by decorating and filling jars with pennies with the object of collecting the most pennies. Competitors can throw other coins (and bills) in competing jars to throw off the penny total. The team with the highest penny total (minus the other change) wins! $ Set Your Feet Up for a Day: Raffle off tickets for a chance to sit in a recliner and watch movies for an entire lunch break or class period. $ Message in a Bottle: Sell messages in your school papers or company newsletters. Parents may want to wish their children a happy birthday. Students may want to put in a funny photo. Co-workers might use the space to advertise items for sale or to thank someone for a job well done. $ Root Beer Floats: Sell root beer floats for $2. Fairly low cost with a minimal number of volunteers needed. Pick a hot day in a busy location, and watch the donations roll in! $ Seed Drive: In the spring, canvas local gardeners and garden centres for donations of seeds, seedlings or bedding plants and host an afternoon of garden sales in the church yard. Let us help! Call Jo Morris the CY2018 coordinator at 403-630-7382. You may also email cy [at] presbyterian [dot] ca for answers to all your CY2018 questions or inquiries.